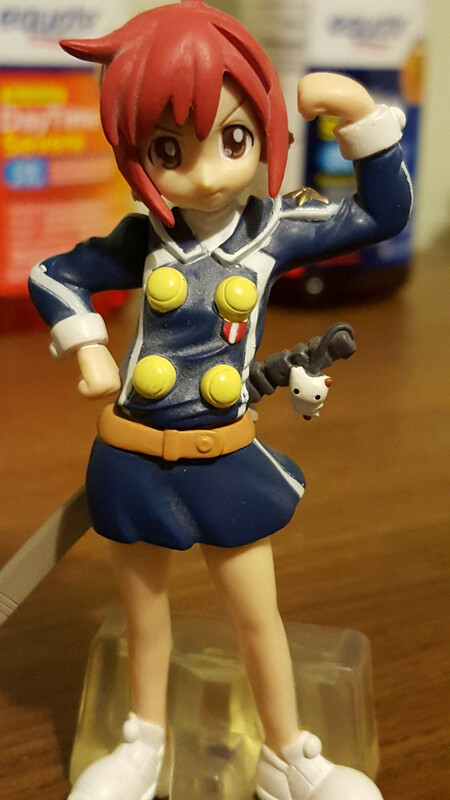 I recently bought a Hideyoshi Kinoshita figure on ebay, when it arrived I noticed that the seller had included a small figure of a loli girl in a blue uniform with yellow ball looking badges on it, white shoes red hair with a long cowlick and sword with a cat charm on the handle. Can anyone tell me where she is from? It's been driving me nuts for days! it would be much appreciated. 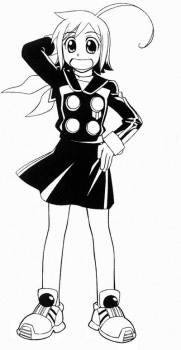 The female character in the above picture is Kurogane Hayate from Hayate x Blade. The Manga currently does not have an anime adaptation. You can find the figurine here.